Worthington announced today at the American Association of Cancer Research (AACR) in Washington, DC, the release of the new 2017 – 2018 Enzyme and Biochemical Catalog for biochemistry, cell biology, molecular biology and bioprocessing applications. Celase® GMP enzyme to support pre-clinical research and collagenase type 6 and type 7 for primary cell isolation applications requiring strong digestive capabilities. 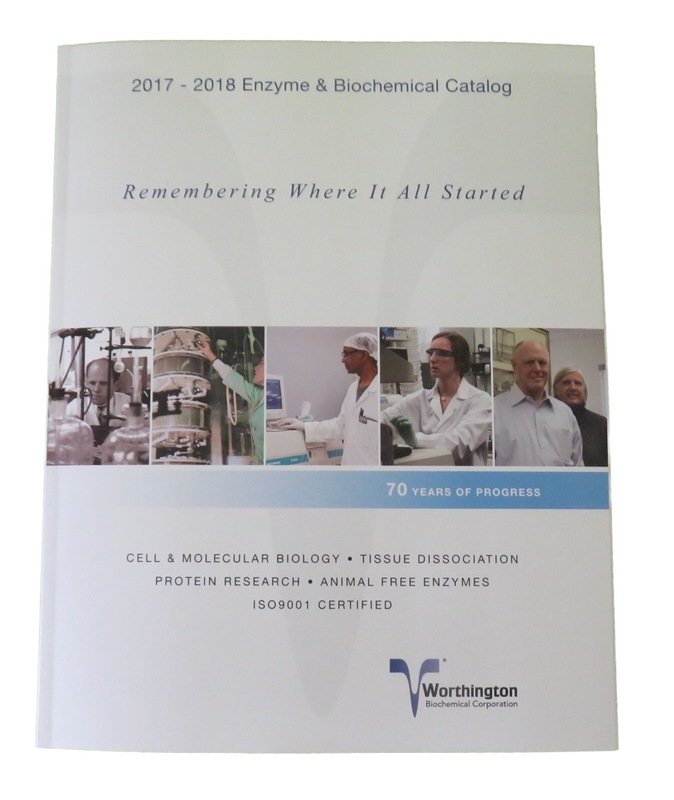 “We are proud to release our new catalog focusing on cell and molecular biology, tissue dissociation and protein research,” said Jim Zacka, vice president at Worthington. “Announcing its availability at the AACR conference this week, shows the company’s continuing commitment to keep pace with industry trends as more and more studies move from medical research to the clinic”. The new Worthington catalog is available in both print and digital formats.